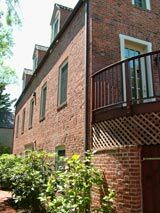 Historic Development can assist you with any remodeling project, building upgrade or new addition to your existing property. If you are a longtime homeowner looking to modernize, a new home buyer, or an investor looking to enhance an estate home or commercial property we can provide management services at any stage of your project. We can guide you through the entire remodeling or renovation project from the planning and design phases, through the permit process, material selection and construction. Whether you are seeking enhanced "curb appeal" or bath and kitchen upgrades, or your family requires more living space we can transform your ideas into reality. Of course, your satisfaction with the quality of our work during all aspects of the construction project (especially after completion) is our primary goal. Call or email if you'd like us to come for a short building site visit to see what you have in mind and share some ideas.